According to a new study, Gabapentin was found superior to Pregabalin in Chronic Sciatica. The researchers found that Chronic Sciatica Patients benefit more with gabapentin as compared to pregabalin in terms of greater reduction in leg pain intensity and fewer side effects. The study has been published in JAMA Neurology. Dr Kelvin Robertson and colleagues conducted a prospective, cohort clinical trial to ascertain whether gabapentin or pregabalin was a more optimal pharmacological treatment for chronic sciatica. A total of 20 patients underwent randomization from March 2016 to March 2018, and 2 were excluded with 1 lost to follow-up and the other requiring urgent surgery unrelated to the study. Patients attending a specialist neurosurgery clinic with unilateral CS were considered for trial recruitment. 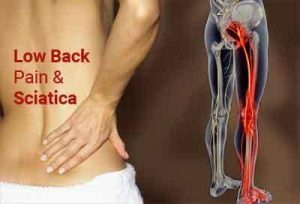 Chronic sciatica was defined as pain lasting for at least 3 months radiating into 1 leg only to, at, or below the knee level. In the study patients were randomized to receive gabapentin 400–800mg 3 times daily then pregabalin 150–300mg twice daily or vice versa; each treatment regimen was taken for 8 weeks with a 1-week washout period in between. The primary outcome was pain intensity measured by the 10-point visual analogue scale from baseline to week 8; secondary outcome measures included disability and adverse event severity and frequency. The researchers found that that both treatments were associated with a significant reduction on the visual analog pain intensity scale (gabapentin: mean [SD] 7.54 and pregabalin (mean [SD] 7.33) and on the Oswestry Disability Index, used to measure disability (gabapentin (mean [SD], 59.22 and pregabalin (mean [SD] 59.22); this effect was not impacted by the order in which the regimens were given. With regard to safety, adverse events were more frequent with pregabalin compared with gabapentin (81% vs 19%; P =.002), particularly when pregabalin was administered first. The authors concluded that Pregabalin and GBP were both significantly efficacious. However, GBP was superior with fewer and less severe adverse events. Gabapentin should be commenced before PGB to permit optimal crossover of medicines. “Our study…represents the first prospective randomized cohort of patients with chronic sciatica to comprehensively assess the head-to-head efficacy of pregabalin and gabapentin, the associated frequency and severity of adverse events, and the impact of pregabalin-gabapentin interchange,”.